Twin Oaks RV Park is a genuine bargain, especially if you happen to be a Passport America member. For just $20 a night, we loved this charming and whimsical park. 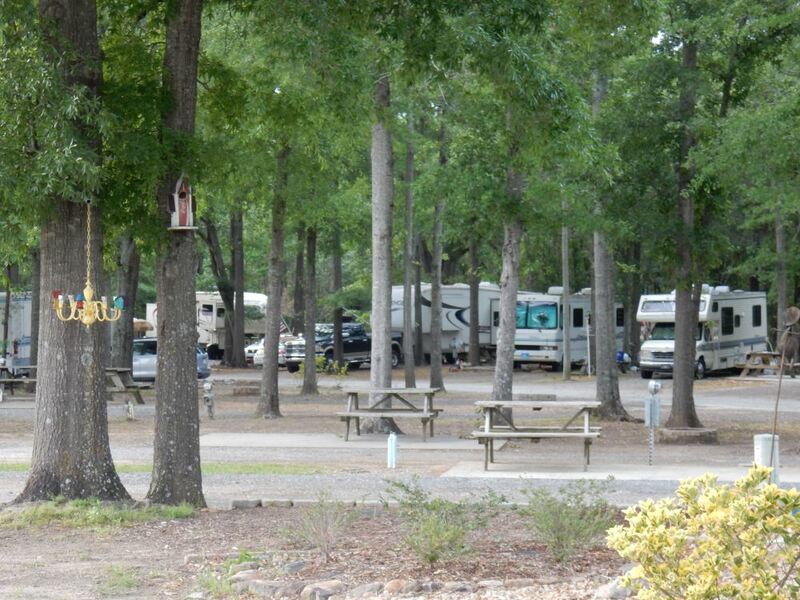 Twin Oaks RV Park is the sort of place where I can tell the owners and operators care about the park. The facilities are well maintained and the park is loaded with whimsical, handmade decorations. The more you walk around and keep your eyes open, the more little decorations you will discover hiding in the trees. The club house is cozy and comfy and well supplied with games and books. It isn’t fancy, but it is earnest and very pleasant. It should come as no surprise that the staff is also very friendly and accommodating. We felt right at home for our short stay. 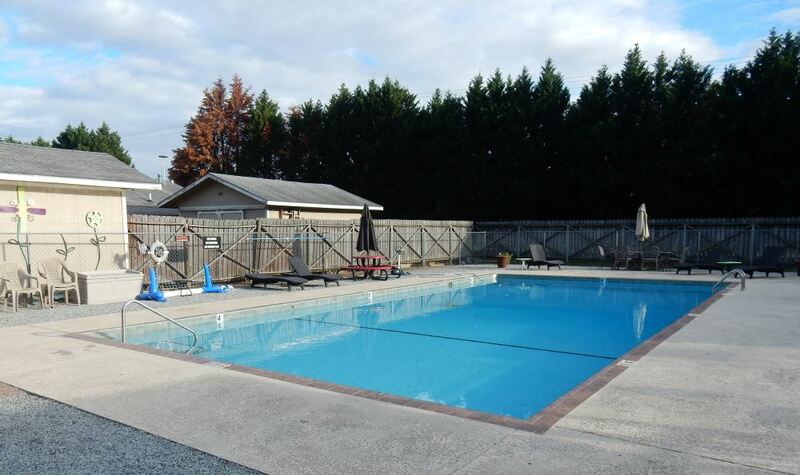 It is a small park but it has a pretty full selection of amenities including a decent pool and covered hot tub. Someone took the time to make a number of curious field games you can play, many of which I’ve never seen before. Exactly what you are supposed to do with them is not always clear, but experimenting is part of the fun. While we were at the park, one of the bathrooms was being renovated, but the remaining restrooms were sufficiently large to accommodate a park of this size. The showers were much larger than what you find in most parks. While the facilities were on the older side, they seemed fairly well cared for and I suspect the remodeled versions will be much improved in appearance. The pads are gravel, with concrete patios and ours was nice and level. The regular price of $40 a night is not the best, but Twin Oaks accepts a number of discount clubs including the ever awesome Passport America. After our discount, our stay was only $20 a night, and at that price, I’d say it’s a great bargain. Chandlers in the trees? Why not. There were all kinds of crazy folk art pieces scattered around the park. Thanks for the lovely review Hitch! We enjoyed meeting you and “Trail” and were impressed with your decision to take your life on the road and enjoy this fabulous great country close-up and personal! Your posts are chock full of interesting experiences for others to read and follow. All the best to you both and stop back for another visit with us at Twin Oaks RV Park anytime!